Karl and I work at the same company, but we happen to be on opposite schedules. Our company runs on a 9/80 schedule which means that we work 80 hours in 9 days instead of the usual 10 (40 hours per week). The big benefit of this schedule is that you are off every other Friday. The downside for us is that we have opposite schedules so if it is my Friday off, Karl is working and vice versa. Since yesterday was my day off I wanted to make a really special lunch for Karl instead of our usual salad. Just like Thursday night I kind of went through the kitchen and looked at what we had to make a new dish. I knew that I would not be going anywhere – the temperature outside was something like 99 with a heat index of 116! 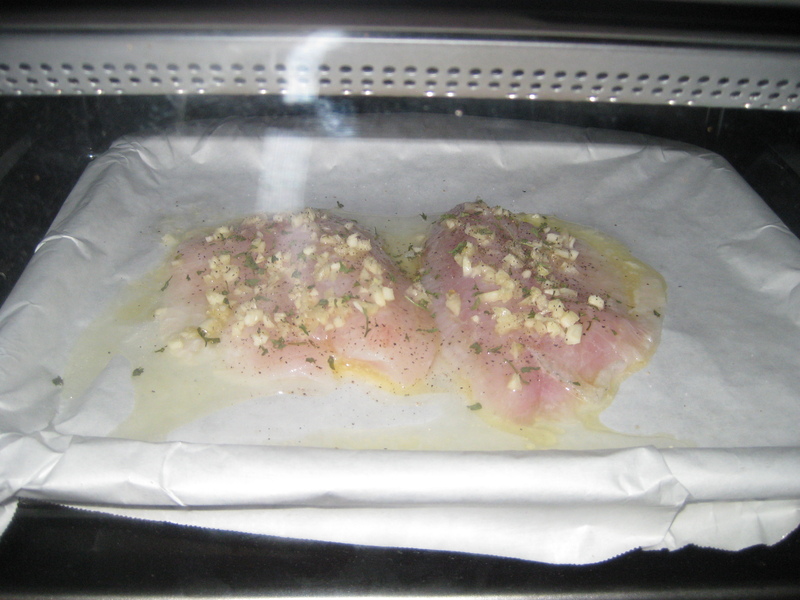 So first I thawed out a pound of chicken. We used to eat chicken every day for dinner, but since we’ve been doing this “semi-vegetarian” thing chicken has not been getting much love! Once thawed I cut it into small cubes. While cutting I let some garlic and crushed red pepper simmer in some olive oil. Then I tossed the chicken in and let it cook on medium-high heat. 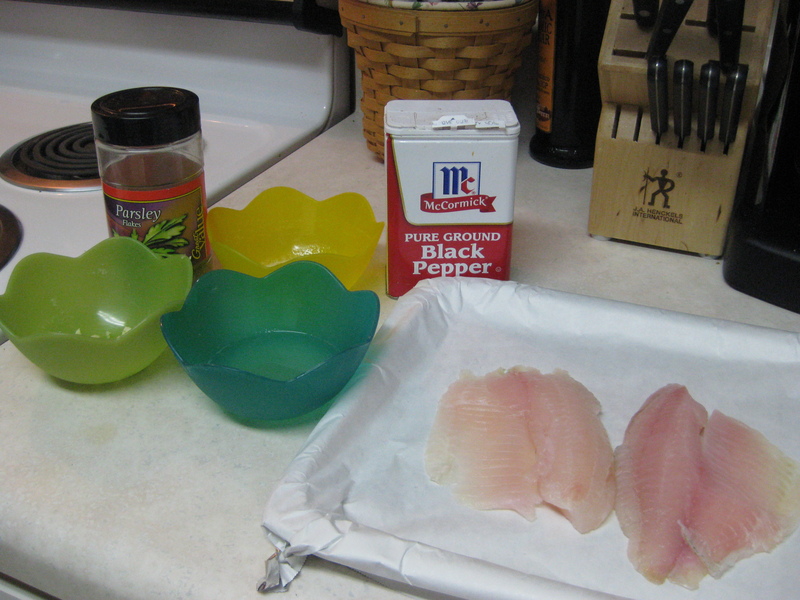 It got seasoned with salt, black pepper, and a little onion powder. Those are pretty much my go-to spices. 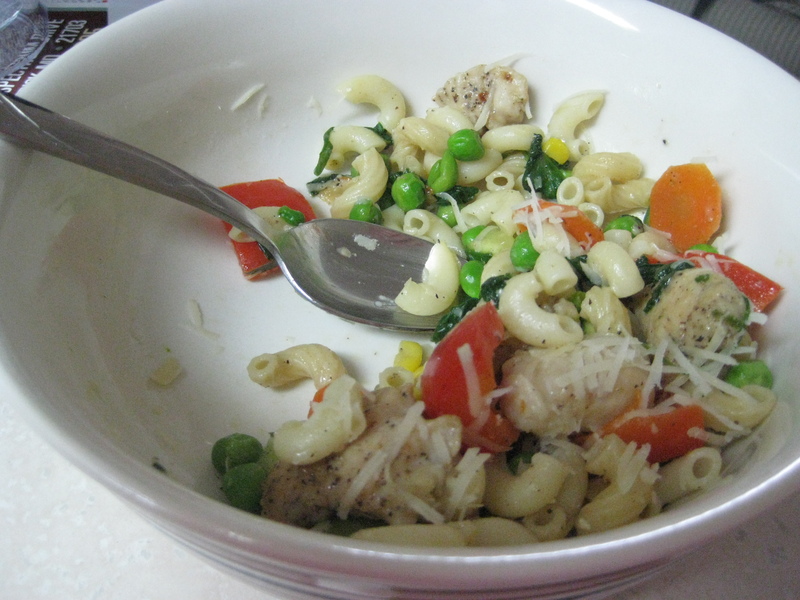 I decided that I wanted to make a pasta and chicken dish so I went to the cabinet to see what kind of pasta we had. Turns out we had about 1/4 box of everything, but there were two boxes of elbows. Perfect! I threw the remainder of both boxes into boiling water seasoned with a little salt. While the chicken and pasta were cooking I chopped up some veggies. My picks were carrots, cucumber, and red bell pepper. When the chicken was cooked all the way through I poured into a bowl. I put another tbsp. 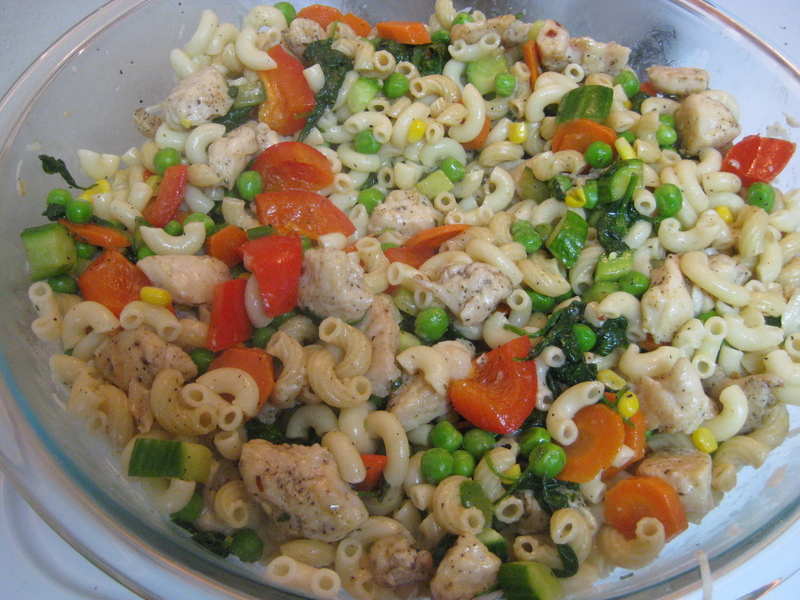 of olive oil in the chicken pan and tossed in a BUNCH of spinach. I just used what we had left in our container – probably 3 full handfuls. 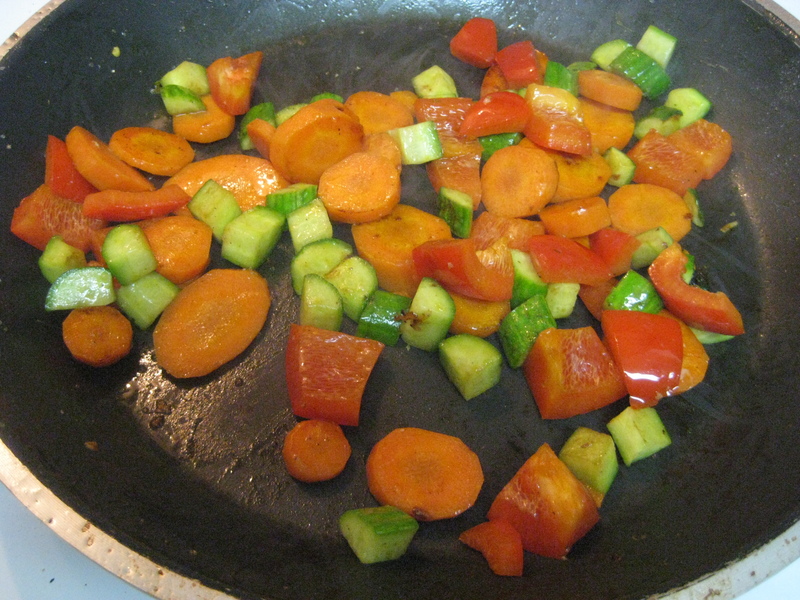 Once that had cooked down a little I added the carrots, cucumber, and pepper. I let that cook for about 5 minutes and in the meantime drained the pasta then tossed it in the bowl on top of the chicken. Next I added a few handfuls of frozen peas and corn to the veggie pan. 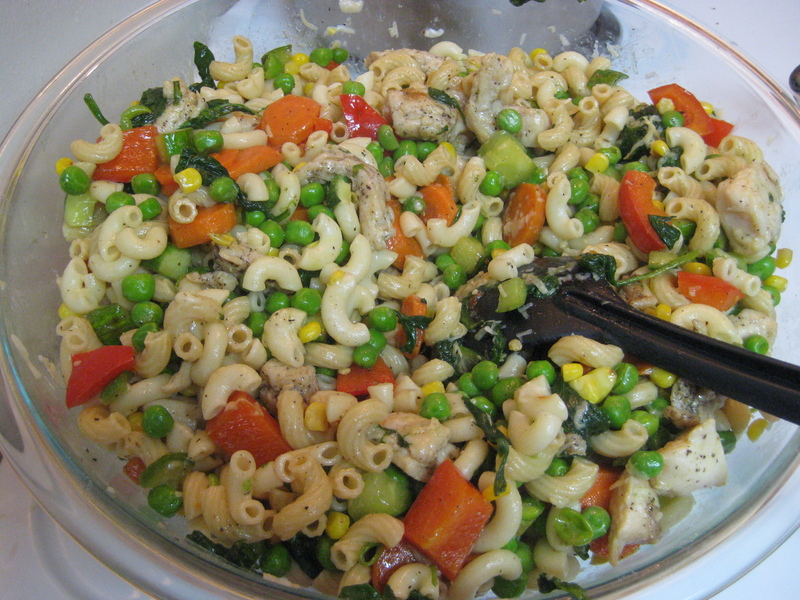 Once those were heated through I poured the veggies on top of the pasta. Add some fresh grated parmesan cheese then toss everything together. Karl was really happy to come home to a hot meal! He asked what I was going to call it. I said Confetti Chicken Pasta because it looked like a party in a bowl. He said I should call it something like Garbage Pasta because it literally was a bunch of leftover stuff that would otherwise just be tossed. I think that Confetti Chicken Pasta is a much better name. Oh, and it reheats really well. I was really glad to find that out because I made a HUGE bowl of it. I am actually munching on a bowl of it for lunch as I type. So good! I’m actually getting packed up to head back to my hometown for a conference Sunday-Thursday. I am going to try to schedule another post to show up tomorrow or Monday, and I think I have convinced Karl to write a guest post! I hope you all have a great weekend and a great week! 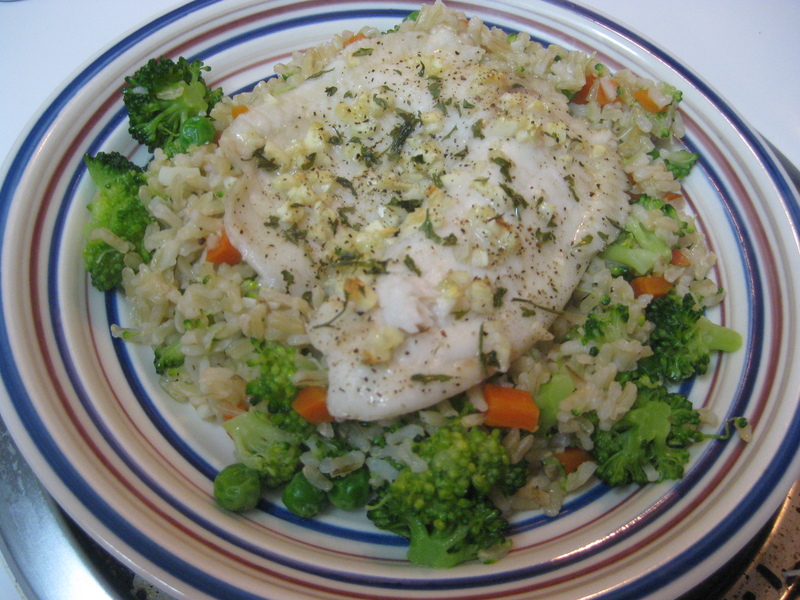 Categories cooking, healthy living, married life, recipes, vegetables, what's for dinner?